SKU: N/A. Availability: In stock Size: N/A Category: RDA. 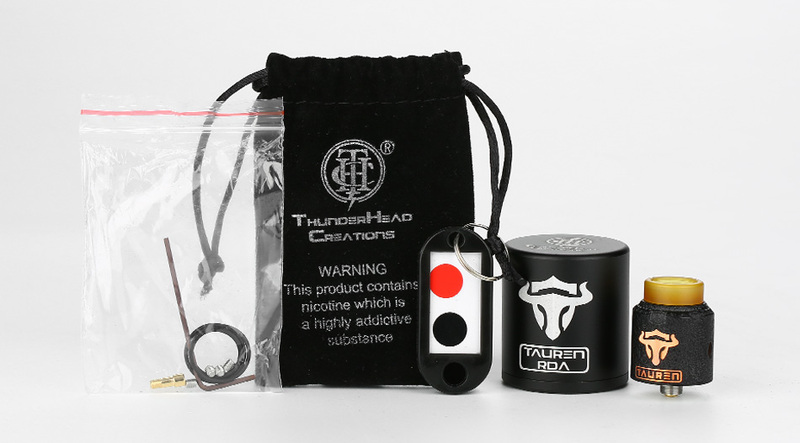 Here comes the THC Tauren RDA. Designed by ThunderHead Creations, the Tauren RDA is a well made rebuildable drip atomizer with deep juice well and ergonomic design. With dual independent postless 45°building deck, it will be very convenient to make coil installation. 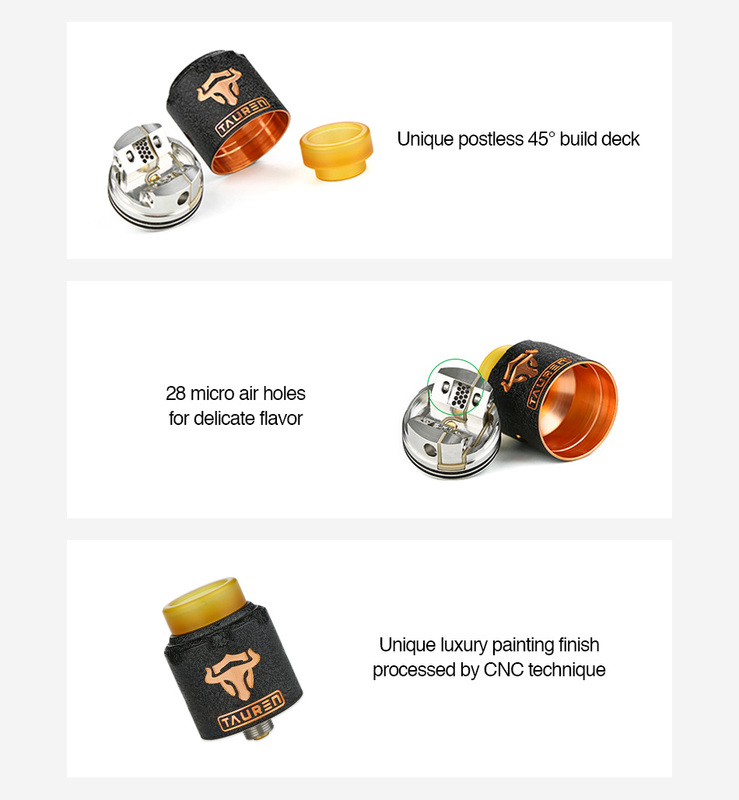 The THC Tauren RDA also features 28 micro air holes on two sides of the build deck, which brings you delicate flavor and strong throat hit. 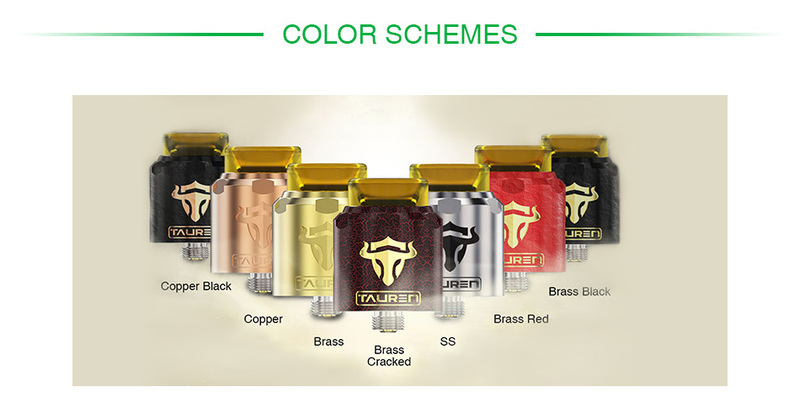 Plus the easy top filling and the unique luxury painting finish processed by CNC technique, the THC Tauren RDA is definitely an ideal vaping device. Perfectly compatible with the THC Tauren Mech MOD.